The NYUSPS Schack Institute of Real Estatee will host its First National Symposium of Women in Real Estate \on Thursday, October 19, 2017 at the NYU Kimmel Center for University Life in New York City. The Symposium will convene women serving in senior leadership roles at the industry’s most prominent firms for a wide-ranging discussion of the real estate market outlook and the forces shaping property investment, financing, and development. This national event also serves as a critical mentorship platform for women executives and the next generation of real estate industry leaders. Wendy Silverstein, Chief Executive Officer of New York REIT, will serve as the Symposium’s keynote speaker. Prior to joining New York REIT, Silverstein served as Executive Vice President and Co-Head of Acquisitions and Capital Markets for Vornado Realty Trust, where she oversaw the firm’s capital market activities including all equity, debt, and derivative transactions, as well as a variety of real estate and corporate acquisitions. 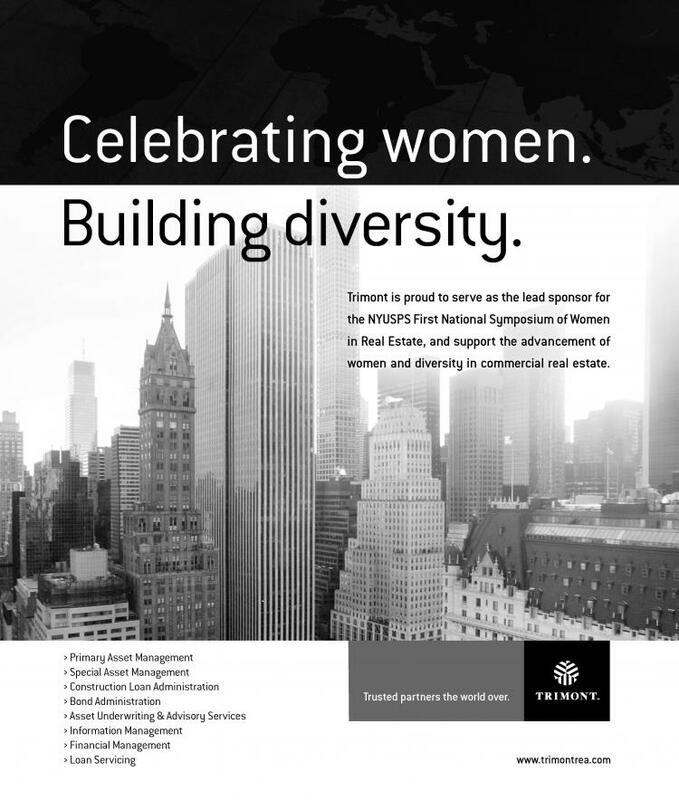 Silverstein is joined on the Symposium agenda by more than twenty of real estate's most influential women. We hope to see you at the Symposium, which serves as one of the kickoff events for the Schack Institute's 50th anniversary celebrations!